A family in Scotland have managed to renovate misshapen potatoes into vodka by opening their own tasting room for visitors on their farm. Nigel Logan was brewing beer on a small scale to feed his beef cattle on their 140 acre farm in County Antrim. New Glamping Site Presented with Prestigious Award! Wigwam® Holidays Ball Hall Farm, located near the historic city of York, has won a prestigious award. FCN launches Partner Logo for businesses supporting latest fundraising initiative. Farming Community Network working with thelandsman to launch latest fundraising campaign, and is looking for industry partners at the Farm Business Innovation Show to help deliver this initiative. In the heart of Charnwood Forest, you’ll find autumn leaves, peaceful trees – and six state-of-the-art glamping cabins! As costs decline and energy prices rise, large-scale solar projects are becoming viable again. Landowners should act fast to secure rental agreements. Dupree International have been shortlisted for Best Rural Creative or Media-based Business! Following a challenging start to the year (remember the Beast from the East? ), Wigwam® Holidays has gone from strength to strength in 2018. Alternative revenue streams can be anything from glamping to renewable energy. Ogilvy Vodka unveil plans for brand new visitor centre on Angus farm. Wigwam® Holidays Charnwood Forest is the first Wigwam® Site to open in Leicestershire and will host its Open Day on Saturday 29th September, from 2pm. The plans include a visitor centre built out of shipping containers, alongside a shop showcasing Meadow Farm alpaca products and a cafe. Daffodils grown in the Black Mountains in Wales have been found to produce abnormally high levels of Galantamine. King Arthur Legend Goes Hand-in-Hand with Surfing at Brand New Glamping Site! The dramatic rise in farming income has been attributed to increased productivity, fueled by innovation. The Energy Centre at BCA is the UK’s first renewable energy training facility at a Further Education college. Wigwam® Holidays Humble Bee Farm celebrates its tenth birthday in 2018. £100,000 grant allocated to Rutland firms to boost rural diversification. A pair of Rutland businesses have received £100,000 to promote rural growth and diversification. Away Resorts have submitted plans to add 108 holiday lodge caravans to Sandy Balls Holiday Village. Recent changes to the UK’s planning law will allow farmers to convert agricultural buildings into residential housing without needing planning permission. 10 pods will be set up across the historic canal in the hopes of mitigating the impact caused by their loss of CAP funding post-Brexit. Meet diversification experts Emma and James, who turned their dairy farm into a multi-diversification success. Wood-fired hot tubs, stellar night skies and a working farm – that’s just some of the attractions at Wigwam® Holidays Brecon, set to open Friday 4th May 2018. British farmers are urged to start taking the steps to address the impact that future CAP changes will have on their business. The Scottish FBS survey revealed that diversifying helped in increasing and stabilising farm incomes. Farmers J M Hounsfield & Son have submitted plans to develop a unique glamping yoga retreat at their farm in Lincoln. Aquaforno to introduce its next generation portable outdoor cooking stove this Feb.
Two Cumbrian farmers have been granted planning permission to diversify their Flookburgh farm into 15 holiday lodges. The winners of this year’s best farm and rural attractions were announced at the National Farm Attractions Network's (NFAN) annual conference and awards ceremony last week. Norfolk landowner releases plans for £7.5m safari park. Plans for the scheme also include an education centre, cafe & function facilities alongside holiday log cabins only accessible by electric buggies to preserve the peaceful surroundings. Sanderson Weatherall have been appointed to sell Bleathwood Lodges for a guide price of £1.9M. Cwm Farm Charcuterie, based near Pontardawe in the Swansea Valley, scooped up a prestigious award at the House of Commons this week. New Year, New Glamping Site on a Private Estate! Set in the heart of Fife, Wigwam ® Holidays Montrave Estate will welcome guests to its private estate from 1st March 2018. Suffolk-based Aspall states the deal as "an important milestone" in the firm's near 300-year history. Rural Consultants Bruton Knowles recommend diversification to bridge the CAP subsidy gap post-Brexit. The established North Yorkshire holiday park already has permission in place for 6 camping pods, 5 holiday cottages, 75 tents and more than 200 caravans. Plans to build 15 unique tree-top timber holiday lodges at Hall Wood have been approved by the council. Black truffles - Never before cultivated in Scotland! Door ajar for IHT Business Property Relief for Livery businesses, and slammed shut for holiday lets. Mattresses are the key to happy guests! A well-rested guest, is a happier guest. Greenspan Projects Ltd help bring a bit of traditional British woodland indoors. Environment Award recognises those who protect our environment. Take a quick look at the noteworthy finalists, all of which will be trying to impress the esteemed judging panel and take home this award. Are the opportunities really within our grasp? Focusing on all key areas in rural businesses. Check out our Top 5 Reasons not to miss this amazing event! Finding the right help and services for your rural business is vital! Some of the most progressive firms in the sector make up the nominees in this year’s line-up. Hornbeam offers public relations, advertising, design, websites, digital marketing, video and social media. William’s Den is a great example of rural estate and farm diversification. West Heath Barn’s is a prime example, of how to offer luxury B&B and Self-Catering accommodation. Those interested in learning about growing the crop should not miss the Terravesta & CLA co-hosted farm walk. The Tipi Company believe that hand calculations aren’t sophisticated or safe enough. In these current economic times, ensuring your business is fully set up to face the uncertain future has never been more important. Merlin Entertainments have just submitted their plans to build a 80-bed hotel at Warwick Castle as part of their 10 year plan. 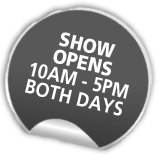 Voted ‘Trade Show of the Year’ by the EN Awards in 2016, the show is returning to the NEC in Birmingham on the 8th & 9th November 2017. Join the industry's most innovative suppliers and find everything you need to diversify your land. Wigwam® Holidays Nominated for National Award! Launching at Farm Innovation 2017! The brand new Scrubmaster B120R! It is of course one of the most important days of a couple's lives and it has to be right! Open Air Business FREE Subscription! FREE subscription for Farm Business Innovation Show registrants! What does the future of rural business look like? Propelling venues into high-rent earning potential with the latest luxury accommodation solution on the market. Those who own or are responsible for rural estate and land across the UK, looking at alternative revenue streams in which to diversify. Data from rural insurer supported by National Crime Agency report. Class Q Permitted Development has changed the way we look at certain buildings and the potential of redundant or disused agricultural buildings. A year on from their Innovation Award win, Tree Tents’ new designs are redefining modern glamping. The Morgan specialist decided to move his four generation car dealership out of Bristol’s City Centre to the family’s converted dairy farm in Horton. De Vere have re-launched their country estate hotel offering thanks to a £100 million investment from Starwood Capital Group. Works have begun at intu Lakeside’s 175,000 sq ft extension project after McLaren Construction were put in charge of its construction earlier last month. The proposed £450 million leisure complex would also include an indoor bike and skate park, an equestrian centre and what would become the UK’s largest indoor waterpark. If approved, the attraction will feature static and animatronic life-sized extinct animals and numerous environments from the Ice Age period such as ice caves and an eight-meter high volcano. The scoping report submitted outlines the plans for a 100-bed hotel, 600 luxury lodges, a spa and a square surrounded by shops, restaurants and a wide variety of adventure sports. The unique 18-hole dinosaur adventure golf course will feature environments from over 100 million years ago, with moving dinosaurs roaming the 54,000 sq ft course. New features include 5 new ultra-modern slides incorporating cutting-edge sound effects, interactivity and laser technology. The new lodges will overlook the lake through a rustic balcony equipped with a luxury hot tub. They form part of a larger expansion project set to bring 51 waterside lodges to the resort by next summer. The new additions to the resort’s future vision include 107 woodland and lakeside holiday homes surrounding the east and west lakes, 33 floating holiday homes on the east lake and 225 static caravan pitches. The improved waterpark will feature new raft rides, a children's adventure cove and new toddler pools. Plans for the development include 96 holiday villas, an apart-hotel, and a variety of leisure facilities to compliment guests’ stays. New Glamping Site in Scotland due to open late October! This efficient off-grid energy system will be used to power his beef farm. Black Pig Retreats is a Glamping Business near Shaftesbury in Dorset - they have been working with Farm Business Exhibitor Anne Clarke (Connected Thinking). Millside Wigwams is now open, welcoming glampers to their state-of-the-art, en-suite Running Water cabins in a beautiful part of country. Lee Valley Farm has enhanced its family picnic area with an exciting new farm themed playground! Here’s why we think campers and campsite owners should consider giving glamped-up containers a go! The lack and available range of housing across the country is one of the big issues for the Government at present and different ways of creating new stock is being sought. Facilities at the brand new hotel include an indoor pool, free parking and Coast Bar & Restaurant. The CLA Stronger Foundations research showed that two thirds of rural land owners are keen to add to the stock of new housing available in rural areas across England & Wales. Rural Solutions predict we are on the precipice of it biggest change in centuries – and by 2027 the green, green grass of home could well be better known as a holiday destination than an agricultural hotspot. One of the largest Farm Attractions in the UK, Odds Farm consistently score highly on Trip Advisor and continually reinvest to ensure visitors return time and time again. A family run adventure farm in the beautiful Brecon Beacons in Wales, Cantref started as a working farm and riding centre sixty years ago. One of its key features is an undercover adventure play area, designed and installed by Timberplay. A survey of 1,500 English attractions found that zoos and gardens remain the nation's favourites after upstaging the rest with a growth of 8%. The unique air dome will be home to a Total Wipeout-style activity centre. The popular eco-attraction in North Wales was bought for an undisclosed sum earlier last month. It was set up by Andrea and Stephen Bristow in 1993, who built the park on a stretch of farmland in Bethel. Twin Lakes reveal their plans for a new 15-bed hotel. The Lancashire lodge park currently boasts over 50 high-end lodges as well as restaurant and spa facilities. Wigwam® Holidays Opens a New Site in Devon! Sounding like it’s straight out of the pages of an exciting Famous Five novel! Countrywide Park Homes have sold their Suffolk site for £13m, which currently holds 280 lodges and planning in place for an additional 200 lodges. Feldon Valley Golf Club’s £6.6 million redevelopment includes the construction of four woodland lodges and a 13-bedroom hotel. Bourne Leisure receive planning approval for 31 new caravans at their Marton Mere holiday park. Each Beverley Park Homes lodge is developed in close partnership with the customer, resulting in a one-of-a-kind, exclusive design. FORREC are behind the ambitious design of the development, which has been inspired by the estate manor’s 400-year history. Chester Zoo hopes to strengthen its status as a world leading animal, conservation and leisure attraction from now until 2030. Rural business owners are quickly realising that diversification is the best was to remain stable and increase profits. The improved recreational and catering facilities seek to appeal to this growing audience of three generation families. If plans are approved, the leisure destination will become the largest of its kind in the UK at an impressive one million sq ft.
Wigwam® Holidays, who will be exhibiting at this year’s Farm Business Innovation Show, is set to welcome three new sites this summer! The Amazon-backed awards have finally revealed their shortlist, with the ultimate winners being announced the 5th of October at the award ceremony. The holiday park industry is booming with turnover for UK's caravan, camping and holiday parks increasing by 9% in 2016. Ribble Valley Borough Council have finally approved Moorgate Farm's application following their re-submission last month. The latest developments in technology for agriculture could help farmers produce, sell and export more post-Brexit. “We want to diversify with the lodges to make the business sustainable for my family," says father-of-six Trevor Wilson. Modular farming systems are gaining popularity due to their ability to produce food locally anywhere in the world without any temperature, weather or seasonal constraints. The report highlights the opportunities this can bring to technology developers whithin the rural sector. Paultons Park has been named best UK amusement park at the Travellers’ Choice Awards two years in a row. The couple already had Glamping in mind as an option for diversification and the Farm Business Show offered them the tools to make it happen. The city’s newest attraction is aimed at thrill-seeking tourists who will be able to glide over London at speeds of 50mph. The museum will see iconic buildings be brought back to life through the addition of a 1940-60s town. The park will submit an application to the council in the next few months and, if approved, it will expand to accommodate more animals and double the workforce. Love2Stay is said to become the UK's most luxurious and well equipped glamping site. Lightwater Valley, now run by Livingstone Leisure, hopes to start construction soon. Center Parcs have made an impressive £70.5 million pre-tax profit this year thanks to maintaining an average annual occupancy rate of 97%. Tipis are a great tool for growing your current market. They bring diversity to any venue or hire company. Thousands of visitors all over the country enjoy a day out with their families in the hopes of learning more about the world of farming. Welcome to National Glamping Week 2017! National Glamping Week will have its exciting inaugural ‘event’ from 12th to 18th June 2017. Supported by Wigwam® Holidays, all glamping businesses are invited to take part. A Big Win for Green Energy in the UK! On Wednesday June 7th the UK’s electricity supply was more than 50% renewable with wind, solar, wood pellets and hydro outperforming gas and coal for the first time ever! Walk This Way With Wigwams! We’re a nation of ramblers – and now Wigwam® Holidays are part & parcel of enjoying the National Trails of England and Wales! It is important that you keep both yourself and your guests safe. Ideas to help diversify your farm or rural business! Wavegarden Scotland have just submitted a planning application to build the park in Edinburgh. The Northumberland National Park Authority will be opening the UK's first national landscape discovery centre on the 29th of July. The Fun Shack Group is set to open a brand new £3m trampoline park and play centre in Newcastle this Winter. Works on the high-tech visitor attraction and educational facility will start this October. The classic 1920s amusement park had already tried re-opening back in 2015, yet it didn’t prove successful enough amongst visitors. The project is part of a £105m transformation programme that hopes to rejuvenate the city by improving other sites in Belfast. If approved, works on the project will start later this summer. 200 lucky guests will be able to stay at Canopy & Stars' unique treehouse until the 30th of September. Danske Bank's investment will aid the development of two new caravan parks in the popular north coast of Northern Ireland. If the plans are approved, works will begin this Autumn. If the plans are approved, 60 lodges and two new lakes will be built, costing approx £5 million. Darwin Escapes' 5-star resort expansion has been approved. The combined revenue of the top 100 UK holiday parks has increased by 9% since 2011, and is expected to keep rising. If the planning application is approved the Hurworth Burn Reservoir will be transformed into a luxurious holiday park. Enter now for the Rural Business Awards 2017! Time is running out to register for the RBA’s. Entries close on the 30th June so in order to be in with a chance of winning register! For all waste water and sewerage treatment needs, The Septic Tank Store have a bespoke system available for you. Open Farm Sunday will see hundreds of farms across the UK open their gates to welcome the public on the 11th of June. Praising farms on their innovative diversification efforts, the awards are closing their submission window the 30th of June. Register now! It's uncertain how Brexit will affect the agricultural industry. The NSA suggests increasing your revenue streams to ensure sustainability. The 13th century castle is receiving funding from Barclays, who are committed to support business growth in Scotland. They also use their land for other business ventures such as running a B&B, a holiday cottage, and producing bio-fuel. Finn Geotherm has completed a landmark installation for leading European agricultural plant breeder RAGT Seeds in Cambridgeshire. Combining an organic farm and a glamping business can be hard work but incredibly rewarding too. National Glamping Week will have its exciting inaugural ‘event’ from 12th to 18th June 2017. Dinosaurs in the Wild is coming to the NEC Birmingham this June - featuring a mix of theatre, theme park fun and science. The revamp project gets unanimous approval by planning committee and hopes to start works this July. The Silvertown Partnership vouches for competitive video gaming as they plan to build the biggest hub of its kind in Europe. It will be a unique destination for those seeking indoor and outdoor adrenaline-fuelled activities. Valued at £3.6m, the company has already reached 30% of its £360,000 target. Aqua Sana at Sherwood Forest undergoes a £3m transformation and reopens with a re-imagined 'Forest Spa' concept. Plans feature 158 cabins & lodges and hotel with spa & pool facilities. Land & Lakes start phase one of construction for Penrhos Leisure Village. It will feature 15 safari tents and six 'Safari Tent Plus', which include a TV and toilet facilities. With the value of farm diversification expected to rise past £580M in 2017, here are the most popular uses for your land that break from tradition. IS ECO-TOURISM EXACTLY WHAT BRITISH WILDLIFE NEEDS? Increasing countries are starting to invest in eco-tourism in order to cater to the environmentally-conscious consumer. Global Teleports and Bentley Walker amongst those bringing reliable internet connection to rural areas. From storage space to keep up with his fast growing retractable netting business to a team building site for sports clubs and schools. The value of golf tourism continues rising, becoming a clear economic driver for rural Scotland. Chawton Park Farm Welcomes a New Shepherdess! Hampshire’s only Wigwam® Holidays glamping site reveals yet another ‘first’. Glorious Gloucestershire Cotswolds welcomes Wigwam® Holidays to its lush countryside! Evenlode Wigwams are opening from 15th May 2017. Country Park forced to seek new revenue streams following council funding reductions. The site offers six-person glamping domes to disconnect in comfort. 'More to Mountain Retreats' has secured a six-figure funding expansion package from RBS. CNG was built on the basis that the customer is at the heart of every business decision. Our approach to service is shaped by the key idea: ‘Bigger than Profit’ and, we mean it. Circuit of Wales set to increase tourism by at least 750,000 visitors annually. New owners of Seiont Manor hotel in Gwynedd have revealed more details on their plans to expand the site to make it sustainable. Last year a record 80% of applications were received online and the BPS hopes to increase this by 2017. Lottery award that will kickstart the biggest development in its history. National Federation of Young Farmers elect new president. Glamping Gets the Green Light at Glenlivet Forest Park! Wigwam Holidays construct 24 luxury glamping cabins at Glenlivet Forest Park, in the heart of the Cairngorms National Park. Funding from the South Devon Coastal Local Action Group focuses on aiding the rural economy. Award winning Pembrokeshire attraction submits plans to develop a quality Holiday Village. Meet event organisers looking to rent land. Create an eclectic, cutting edge building to provide additional space and rental income and really stand out from the crowd. China now has the world's larges solar farm invest heavily in solar & wind farms. Applications are now being accepted by rural regeneration company Pennine Prospects. If you don’t have electric vehicle charging on site, you’re losing their business. The £1.5 million project features 9 luxury holiday lodges at leading Notts events venue Goosedale, creating around 30 jobs. 2016 has seen a rise in agricultural businesses diversifying their land as an efficient way profit more from their land. Once BioClay is applied, the plant ‘thinks’ it is being attacked by a disease or pest insect and protecting itself from the pest or disease. Special offer at the show... 6 months commission free and win a free night at a luxury niche escape!! Want a modern home for farm or smallholding? New range launch! Hero Renewables are partnering up with Niche Escapes to bring a lucky winner an unforgettable luxury eco weekend getaway this valentines day. With its elegant simplicity and feminine curves the Lotus Belle is hard to resist, but it’s much more than just a good-looking tent. Peter Rabbit™ hops into Willows Activity Farm! The new themed Peter Rabbit™ Adventure Playground opened at Willows Activity Farm in St Albans in Easter 2016. Rising energy costs are a concern for any farmer in maintaining the ongoing profitability of a business. We’re now living ‘Brexit Britain’ … and with this historic decision, the ‘staycation holiday’ is booming! Successful rural wedding and private/corporate hospitality venues can be extremely lucrative if set up and run well. It’s difficult to realise your business’s full potential, especially when your efforts to diversify your offerings lead you to fields and industries you have no experience in. CREATE A CABIN have developed a process that builds a barn within a barn. What has Instagram got to do with farming? In today’s digital world, there’s no better platform on which to tell your story than social media. PAWSOME Character Appearance for White Post Farm! Land owners, campsites and farms are taking advantage of the new “on trend” holiday rental market. From a small/ micro 2 person capsule, to a family sized lodge. So – you have some land, and you want to make some money from it. Glamping is ‘in’ and is here to stay! Converting your ideas into bespoke creations! Welcome to the world of Containers and Cabins! A place where a little imagination can go a long way and produce some outstanding results. Our talented and visionary team are able to design, manufacture and install all manner of container products. Do you have at least half an acre of unused land? The Farm Business Survey (FBS) for England has published a report showing the extent of the growth of diversification in agriculture for 2014/15. Open Farm Sunday returns on Saunday June 5th 2016. A study just completed has shown that organic meat and milk could be better for you than conventional products.